Used Front Subframe Horn end for 2002-2006 R50 MINI Cooper R53 Cooper S and 2005-2008 R52 Cabrio. If you've had a front end collision these sub frame horns are easily bent. 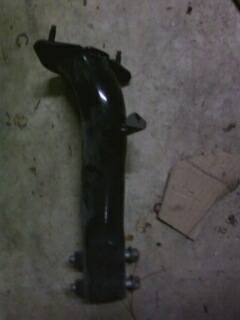 If yours is bent it will make mounting the front bumper support hard or impossible. Sold as individual Driver or Passenger side subframe horn.